Life with two kids is actually pretty good. Granted, I set the bar low this week. We only left the house twice alone and I ordered my groceries online. But the boys were clean, fed and pretty entertained most of the time so I am declaring victory (with a special thanks to Larry the Cucumber for his integral roll in our success). However, as the week comes to an end, I know I will need to step up my game going forward. Oscar needs to be more active and I need to be able to get things done….eventually. I turned to some mothering pros for advice and was met not only with good ideas, but encouragement to relax and let this time be what it is. Not everything NEEDS to get done in this season. It’s ok to slow down in some areas, let the tv be the babysitter (thank you Jonah movie) and create some special moments for each child. I will say that I am not much of a leave the house with a newborn person. It’s pretty important to me that my children get the sleep they need. I personally MUST GET my sleep so I am very sensitive to their sleep needs. Oscar naps 2-3 hours a day and Calvin is taking about 4 naps a/day at varying times. They both sleep in their rooms for the most part so this means our outings are short and sweet. This also means we need to find things to do at home so we don’t go stir crazy during this time! I want to make sure Oscar is still being stimulated and not just sitting in front of the tv. We DO watch tv, but even I wouldn’t want to sit there and watch all day. This week we did a few fun things but I am always open to suggestions since no activity lasts longer than 10-20 minutes! Here is what I have come up with so far. 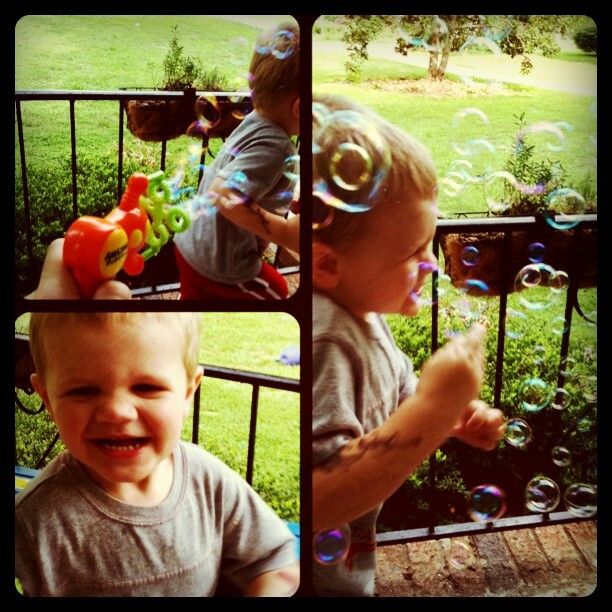 Bubbles Outside – During one of Calvin’s naps, Oscar and I went outside to play with bubbles. This was a lot of fun for both of us but the mosquitos were terrible. Next time, use bug spray. Finger Painting while I make dinner – This was a surprising success but because it is so messy, I found that going back and forth from the stove was cumbersome even though it kept him occupied. We’ll do this again when I am not distracted. Helping with Meal Prep – Oscar loves to help so I try to remember to save things he can do so he can be involved in meal time. For instance, he loves dumping things so if I have anything in a bag or cup I let him empty it into the pan. He also loves stirring so we try to include him in that. And, Jerry has been letting him get the milk out of the fridge all by himself in the mornings, which he loves. I wondered why it had moved to the bottom shelf! Building Towers – We love blocks around here so making towers and crashing them is always fun. But baasically, getting on the floor a few times a day goes a long way with my little guy. Nursing Basket – this is an idea that I haven’t tried yet but I love it. Basically, you take a few toys and put them away only to be used during times when you are nursing the newborn. I really like this idea and just need to gather some toys to make it happen. 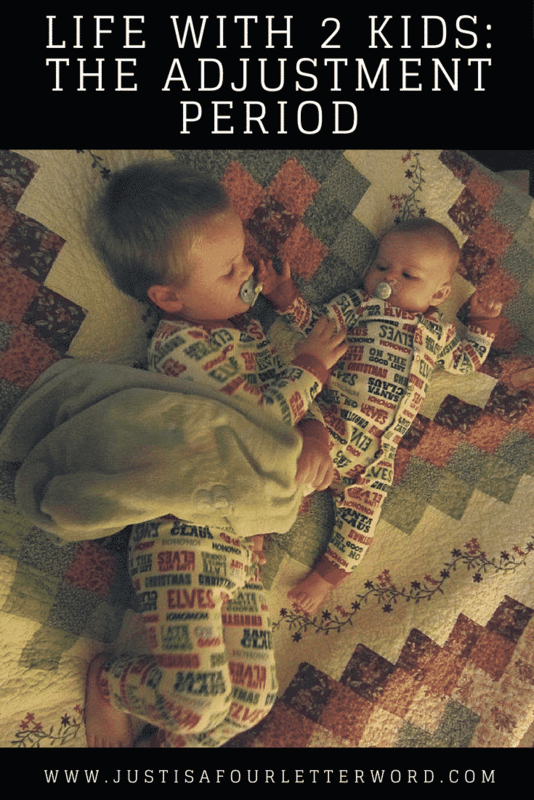 Cuddling with Baby Brother – Oscar truly loves Calvin so I encourage him to snuggle and talk to him whenever he is awake. Currently, Calvin’s favorite spot in the house is laying on Oscar’s bed. I can’t wait to see this bond grow. Now that we have the toddler taken care of (for 5 minutes anyway) here is what I have learned so far about bringing a newborn into the fold. First of all? We are LOUD. I had no idea how loud this family was until a few weeks ago. Man. And newborns get easily over-stimulated so this one is tricky. Wear the Baby – I love baby-wearing for outings, but I have also found myself wearing Calvin around the house. No joke, the other day I nursed Calvin in the Moby wrap and made Oscar’s lunch at the same time. That was awesome. Other benefits include physical touch and blocking out some of the sights and sounds of the household if he is overtired. Don’t let him get overtired – Like I mentioned, one of the main reasons we stay home so much is to make sure Calvin gets the sleep he needs. It’s SO important! And I can sacrifice a few weeks of my social life for his development. So, I try really hard to let him sleep in a quiet place (usually his room or the swing in another room) before he gets beside himself with exhaustion. Bathtime – Unlike Oscar as a newborn, Calvin LOVES bathtime! Now that we have a basic routine, baths are becoming more frequent and fun. Whew! I have to say, I feel like our first week was pretty awesome. I know life will get busier and require us to do more, but right now we are enjoying our little cocoon. How do you adjust to adding a child into the family? Does this sound familiar? Special thanks to these awesome moms for sharing their tips and tricks! If you aren’t following them already, you are missing out! When you shop with my links, you keep this site in business. Thank you! Good post! I find it’s actually a bit easier than I was expecting. It’s amazing how easily kids can adjust to their surrounds. Now as for baths, Noah has only had like 3 real baths since he was born… I guess I should step up my game on bath giving. Veggie Tales was a livesaver for us, too! It’s just a short time of their lives and offers you a bit of sanity while you figure things out. To be honest, I struggled with asking for outside help, when I had baby #2. I wanted to somehow be a super mom and do it on my own. Afterall, my mom did it. I may have been struggling with some depression but didn’t really know it. I finally grew up and asked for a little help with big brother. Like you, I tried to get naps figured out. 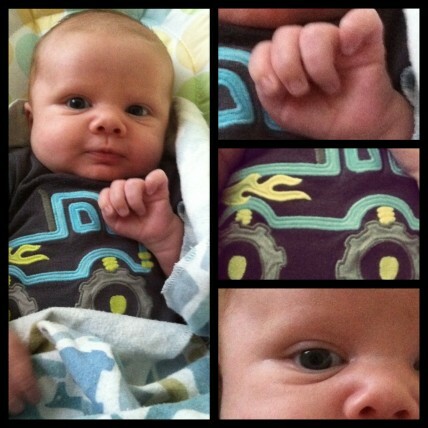 If I could get the baby to sleep during big brother’s nap time, that was precious time for me… for sleep. Eventually, I was able to get stuff done during that time, too. However, I had to learn to be gracious with myself and not feel guilty about taking said nap. You are an AMAZING mom to your little angels! It’s so exciting to see how our children really can adapt. Other fun activities for big brother that helped me survive: sorting (anything) into muffin tins; bowling with upside-down cups and soft ball (try to do this on carpet… it’ll give you a headache otherwise); odd-sock / ball toss.